Embraer of São Paulo, Brazil, is aiming to find its next CEO before its Ordinary General Assembly on April 22, 2019, after announcing Paulo Cesar de Souza e Silva is stepping down with his elected two-year term now complete. The announcement comes shortly after Embraer shareholder approval of the still pending transaction with Boeing. The two companies are working toward a significant joint venture that will be made up of the commercial aircraft and services operations of Embraer. Boeing will hold an 80 per cent ownership stake in the new company and Embraer will hold the remaining 20 per cent. 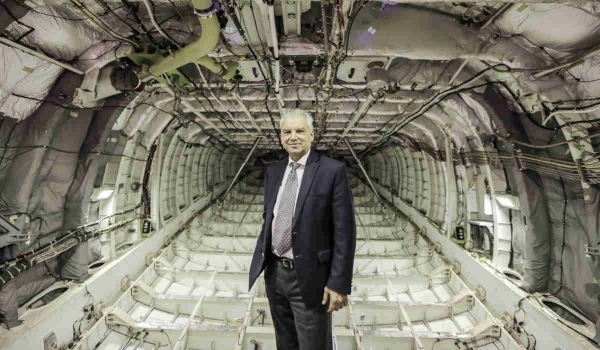 “Paulo Cesar idealized the partnership with Boeing and led the negotiation process of the transaction that will bring Embraer and Brazil to a much more competitive and prominent level in the global aviation industry,” said Alexandre Silva, chairman of the board, Embraer. At Embraer for 22 years, the aerospace giant explains Silva initially joined the company from the financial market to structure its sales financing area. For six years, he served as president and CEO of Commercial Aviation and in 2013 launched the E2 medium-sized commercial jet program. In 2016, Silva became president and CEO of Embraer Group. The company explains his administration established three key initiatives focused on value creation and the sustainability of the company. The first was the transaction with Boeing. The second was the creation of the Passion for Excellence program, a structural transformation project focused on reducing costs and increasing operational efficiency. The third initiative led by Silva was the creation of EmbraerX, responsible for disruptive innovation and the development of opportunities for the future, such as eVTOL (electric vertical take-off and landing vehicle), a project aiming to revolutionize urban transport in partnership with Uber. Cesar was invited to be a senior advisor to the board, with the task of facilitating the integration of the future president and CEO; and advising the board on the monitoring of assets and resources segregation, which the company describes as an integral part of the process of concluding the partnership with Boeing. As previously reported, 96.8 per cent of Embraer’s shareholders approved an agreement with the North American company last February, which should be concluded after obtaining all approvals of the Regulatory and Competitive Agencies in Brazil and abroad.